Rewards Canada: June 9 Update: Another easy hotel status match offer, great bonus for Hilton stays in Canada and more! 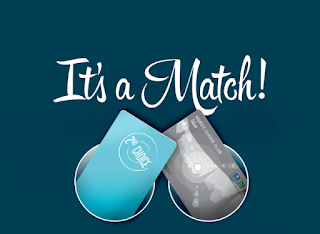 June 9 Update: Another easy hotel status match offer, great bonus for Hilton stays in Canada and more! In the bonus offers section you'll see an elite status match offer from Nordic Choice Hotels. This is Scandinavian branch of Choice Hotels that runs their own loyalty program called Nordic Choice Club. Right now they are matching the status held by Hilton Honors members. So if you hold status with Hilton you can get them to match to the same level. Definitely something to look into if your travels will you to Scandinvia or the Baltics. Remember as well if you have The Platiunm Card from American Express it gives you Hilton Honor Gold Status which means you'll get Gold with Nordic Choice with this offer! Time for us to update our post entitled Get elite status with at least six hotel reward programs with The Platinum Card from American Express to seven!